NEW DELHI: India’s first semi-high speed train broke down yesterday after colliding with a cow on the tracks, a day after Prime Minister Narendra Modi inaugurated the new passenger service. 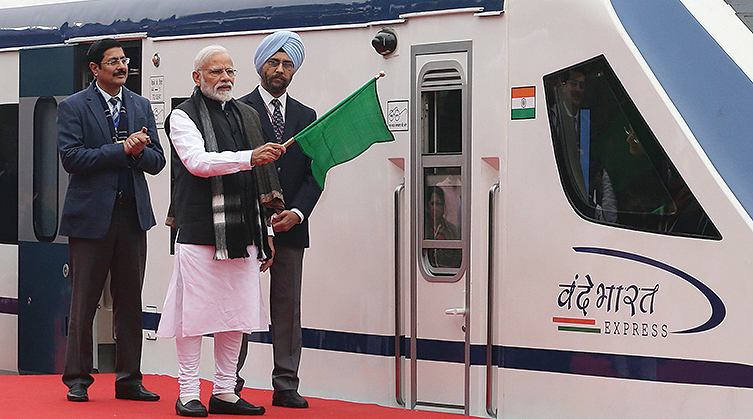 The Vande Bharat Express, touted as India’s fastest train and built under the Modi government’s flagship “Make in India” program, made its first journey Friday from New Delhi to the Hindu holy city of Varanasi. But on its return to the capital the next day a collision with a cow disrupted electricity supply to four carriages and damaged the brake system, according to Indian Railways. “The train later experienced technical issues and was stranded on the way to Delhi,” Indian Railways spokeswoman Smita Vats Sharma told AFP. 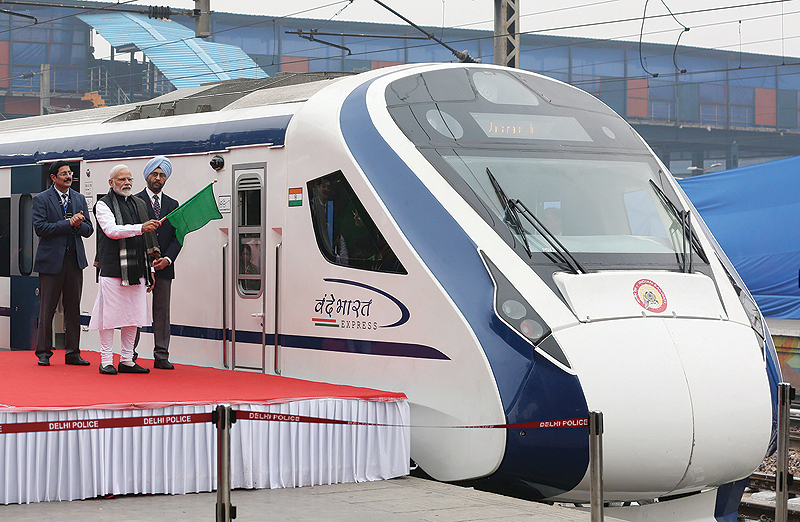 The train reached the capital “safely” ahead of its first commercial journey on Sunday, she added. Cattle obstructions on roads and rail tracks are common in India, particularly in Uttar Pradesh state where yesterday’s collision happened. Since coming to office, Modi’s nationalist party launched a crackdown on the slaughter of cows – considered sacred by many Hindus – which has led to crisis numbers of stray and unwanted cattle in the state. India is struggling to upgrade its colonial-era railway system, which relies on creaking and outdated infrastructure to transport 23 million travellers each day. The locally-made express train has a rated top speed of 180 km an hour, 20 percent quicker than the next fastest train in service. Railway authorities say the train is expected to reduce the 850-kilometre journey between the two cities from 14 to eight hours.